In the food processing, textile manufacturing, clock making, heavy industrial mining equipment, oil exploration and in countless other industries, gears make the efficient and effective operation of all kinds of equipment possible. Gear manufacturers design and manufacture an extensive variety of different gear configurations to accommodate the equally wide range of gear equipment requirements. Bevel gears, for example, are used in many different contexts; automotive components, automatic doors and even hinges can involve bevel gear equipment. Rack and pinion gears can be used to move products in manufacturing processes. Spur gears, one of the simplest and most common gear varieties, are used in children’s toys and heavy manufacturing processes. Planetary gears and helical gears are crucial in automotive motors and power transmissions, while small plastic gears and nylon gears are used in consumer products like printers and clocks. Different sized gears are used with one another to increase or reduce a shaft’s rotational speed in speed reducers, motors, transmissions, heavy machinery and clocks. Gear manufacturers use gear cutting techniques such as gear hobbing and other machining processes to fabricate gears; they design their products to withstand harsh and repetitive use. A gear’s number of teeth and its specific gear ratio determine the function, speed and control the gear will have within a larger gear assembly. These factors will determine the gear’s durability and strength and also the speed it will be able to engage. Gears may be made from a variety of materials, including most metals and hard plastics. Highly wear-resistant plastics such as nylon and polycarbonate are useful in machinery applications where low weight is a requirement; in demanding applications such as automotive transmissions, gears are made from hard metals such as steel, brass, copper and even titanium. Heat, vibration and the presence of corrosive elements are all possible impediments to gear performance, which is why most gear systems use a form of lubrication. 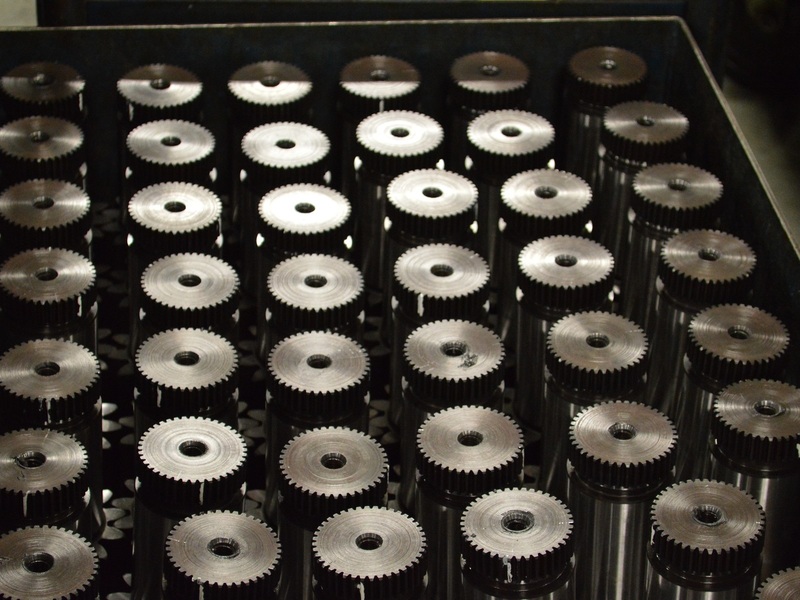 Successful operations employ gears that have been carefully selected after extended dialogue with gear manufacturing professionals; a gear should always be chosen with consideration for every variable that might affect its performance once employed. 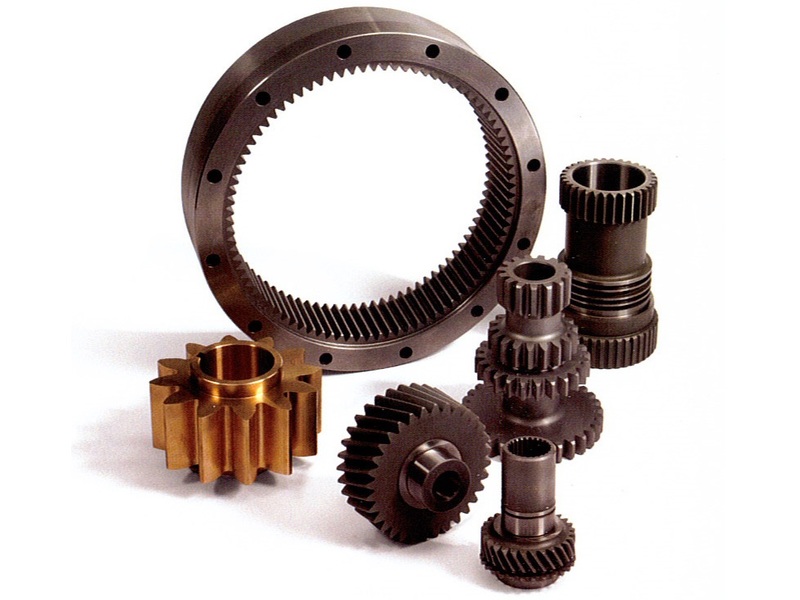 Gear Manufacturers Gear manufacturers are companies that produce industrial gears; gears are tools used for torque transmission. Gears are used in conjunction with other gears and parts, and they engage mechanical motion or transfer rotational torque power and motion through a shaft, other gears or series of parts.